Strategically located between the mountains, rivers and high desert plateaus of central Oregon, Bend is an outdoor-recreation mecca. 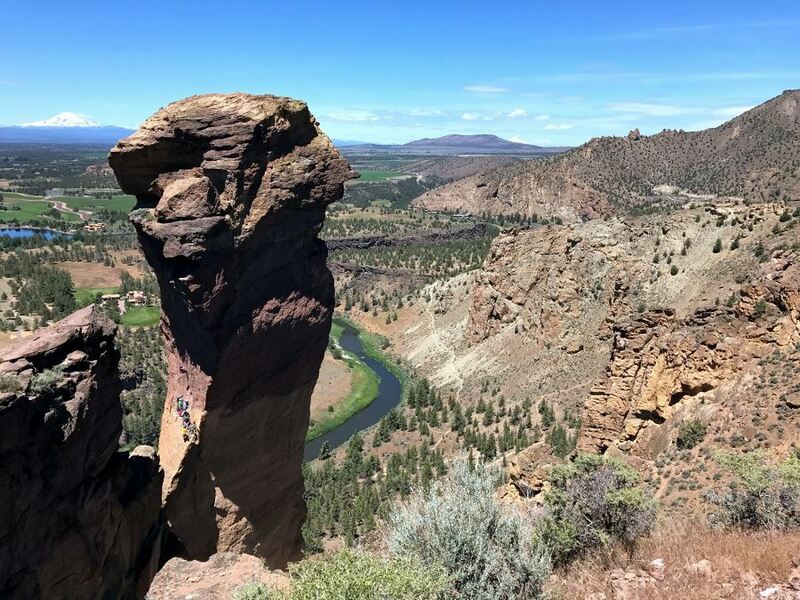 In central Oregon, on the eastern fringe of the Cascade Range and straddling the Deschutes River, Bend Oregon is the jumping off point for a vast number of outdoor recreational options, including hiking, rock climbing, whitewater rafting and paragliding, to name just a few. 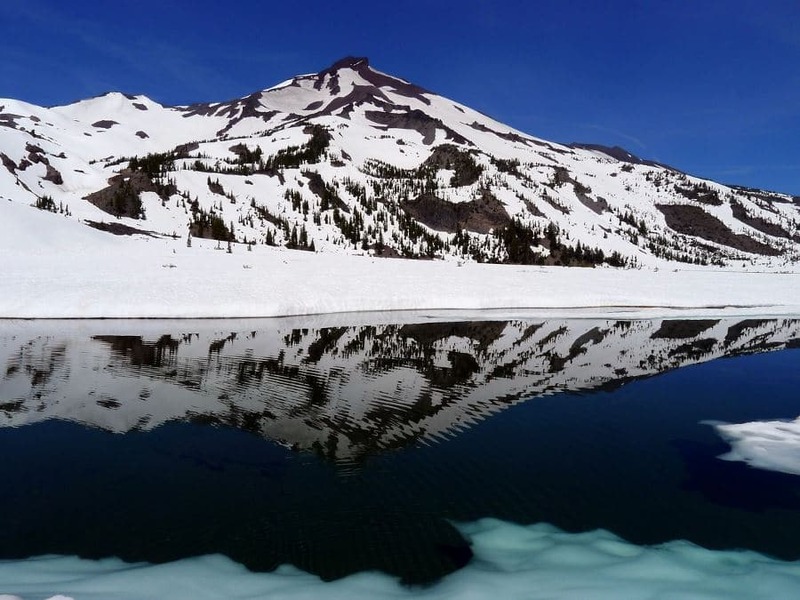 Within a half-hour’s drive to the west, there are beautiful highland lakes and many options for hiking in the Cascades, including Mount Bachelor, Tumalo Mountain, the Three Sisters and Broken Top. 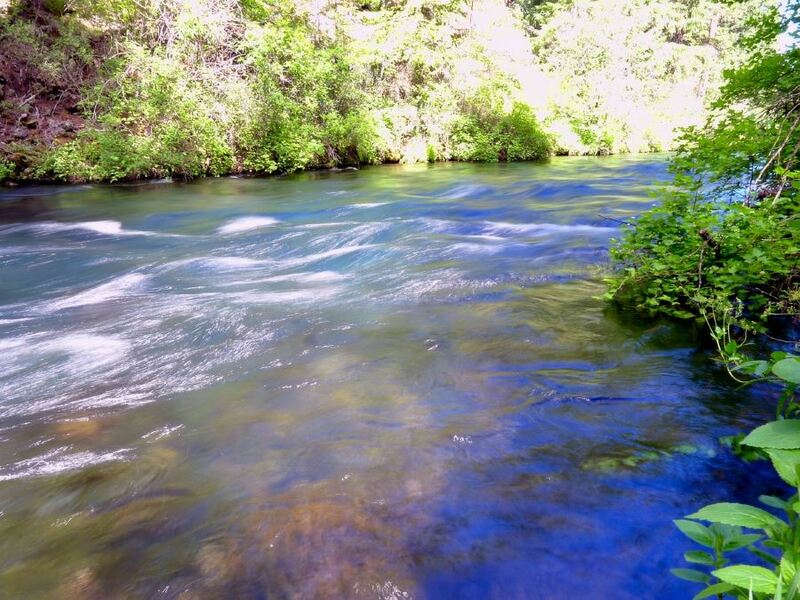 Northwest of the city there is Mount Washington and the Metolius River. 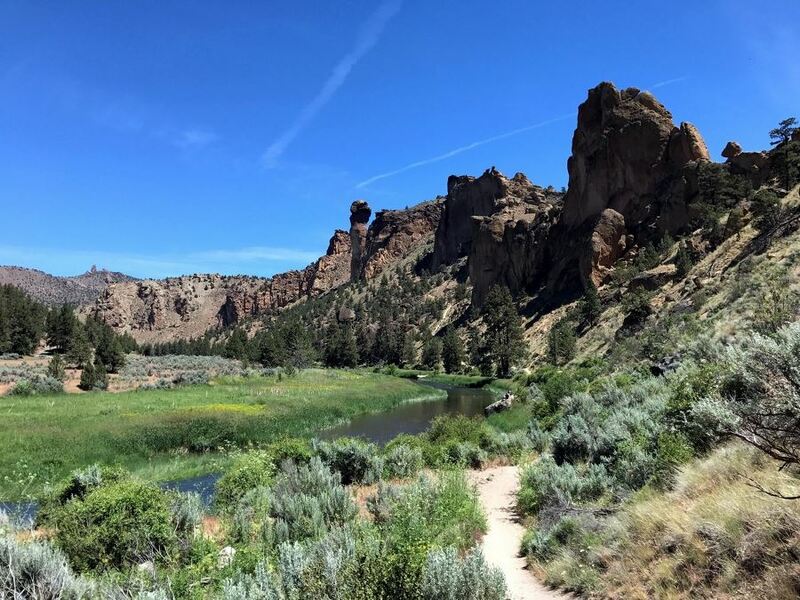 To the north is Smith Rock as well as the Whychus, Deschutes and Crooked Rivers. To the south is the Newbury National Volcanic Monument. All these locations provide lots of recreation possibilities. The weather is spectacular, if you are into that whole high-mountain crystal-clean air thing. During the summer, temperatures during the day average in the low 80s (mid to high 20 C) but drop to the 40s or 50s (5-10 C) at night. Because of the high altitude, frost is not unheard of even in summer, so pack warmer clothes and sleeping bags. The other thing to understand about the Bend area is that the population has grown (some might say exploded) over the last few decades as the city, like much of the rest of Oregon, has been discovered both by vacationers and folks looking for a beautiful place to live year-round. On the positive side, this has meant a similar growth in restaurants and breweries, so there is no shortage of places to eat and enjoy a freshly brewed beverage after a day on the trail. On the other hand, however, you are less likely to be alone on that trail, so it is important to choose your hikes wisely and time them to avoid crowds. Bend is a scenic three-and-a-half-hour drive from Portland, and Portland International Airport (PDX), which has excellent service from most major airports. If you are less excited by the beautiful views on the drive from Portland, however, Redmond Airport, also known as Roberts Field Airport (RDM), is a relatively small but well-operated option roughly a half-hour away. Alaska Airlines offers nonstop flights to Redmond from Seattle and Portland. United also flies into Redmond from Denver, San Francisco and Portland. Delta offers nonstop service from Salt Lake and American Airlines offers service from Los Angeles. Regional bus service to Bend is offered from Portland by the Central Oregon Breeze, from Ontario by Eastern Point and from Eugene by Pacific Crest Bus Lines. AMTRAK also provides service to Bend if you prefer to travel by rail. For more information on fares and schedules, visit www.amtrak.com. The main north-south route to Bend is US Highway 97. The major east-west route is State Highway 20. During the winter months, some roads and highways in the Bend area are closed, including portions of Century Drive, Cascade Lakes Highway and Paulina Lake Road so, if you a planning a winter or spring trip, it’s worthwhile to visit to the Oregon Department of Transportation’s www.tripcheck.com, which offers detailed descriptions of road conditions. Bend is beautiful pretty much all year round and the dry climate means rain is not nearly so likely, even in the winter as it is in other parts of Oregon. That said, because Bend is relatively high in elevation, snow will last well into the spring, particularly in the higher areas, so if avoiding ice and snow on the trail is a priority, it is best to wait until the end of June. 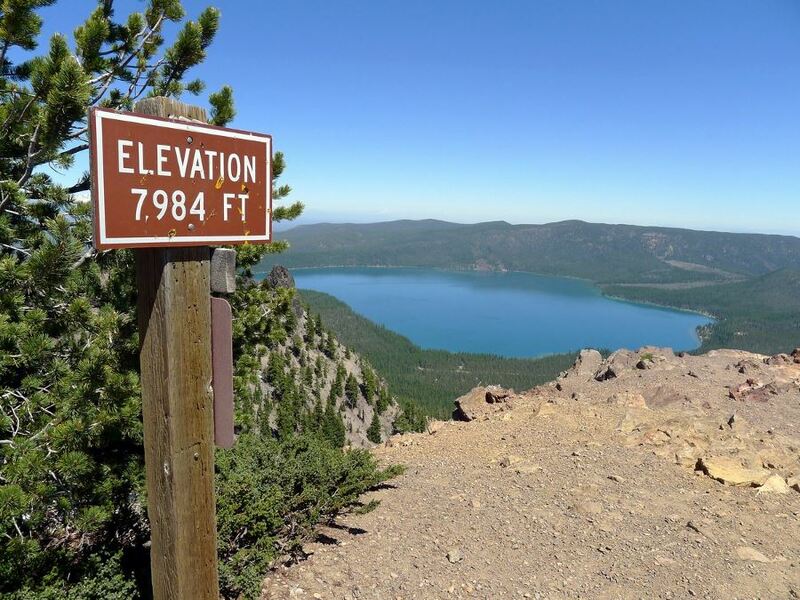 Another consideration is that some roads, including Paulina Lake Road and the Cascade Lakes Highway are closed during the winter and spring due to snow. 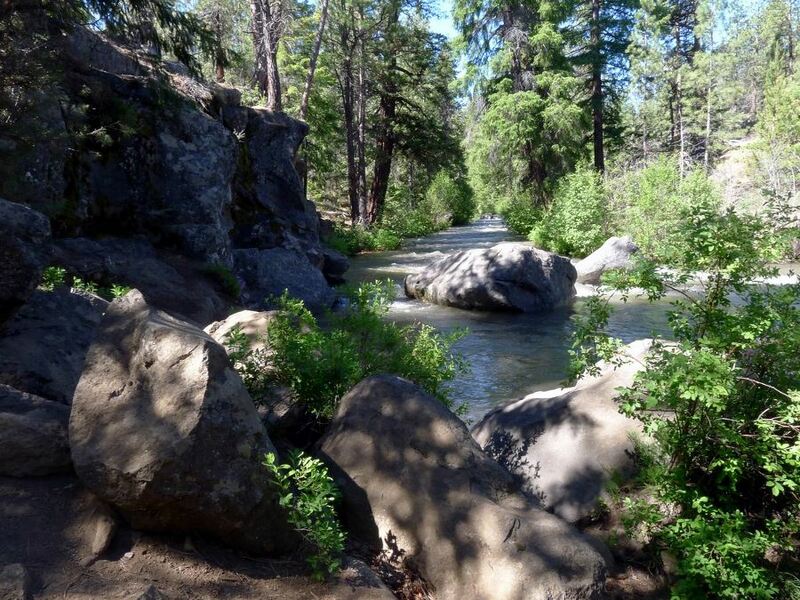 Finally, because Bend has become a very popular place to visit in recent years, some of the more well-known and popular trails can get a little crowded, especially during the summer months. September, however, is a great time to visit. Daytime temperatures are still warm and the days are still relatively long and with low levels of average rainfall, the chances that your hike will be washed out are small. 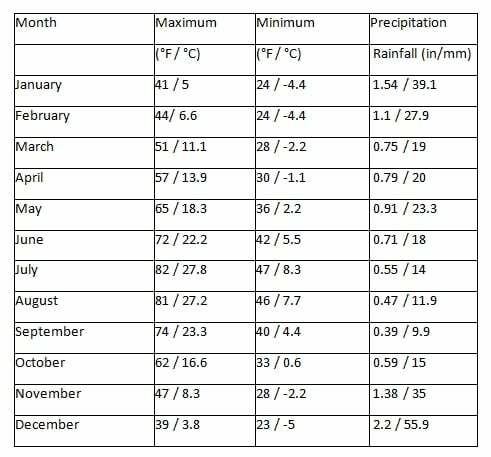 For more on average temperatures and rainfall, go here. Rental cars – available at Redmond Airport – are a good option when it comes to getting from your home base to the many hiking trails and other attractions around Bend. There are also a variety of shuttle services available at Redmond Airport, check here for a comprehensive list. Once in Bend, public transportation is available through Cascades East Transit. Taxi services, shuttles, tours, and other options are also available to help you get where you want to go. Pedal power, at least in Bend and the immediate vicinity, is a great option because Bend is well equipped with cycling trails and bike lanes. Ride sharing services Uber and Lyft are also available in Bend, but are fairly new in the area – Uber just began operating in May of 2017. With a population of more than 100,000 in the greater Bend area, there are literally hundreds of options, whether it is staying at high-end resorts, boutique hotels, or vacation rentals. With so many options, it is important to plan your trip and choose lodging to avoid unnecessary travel time. 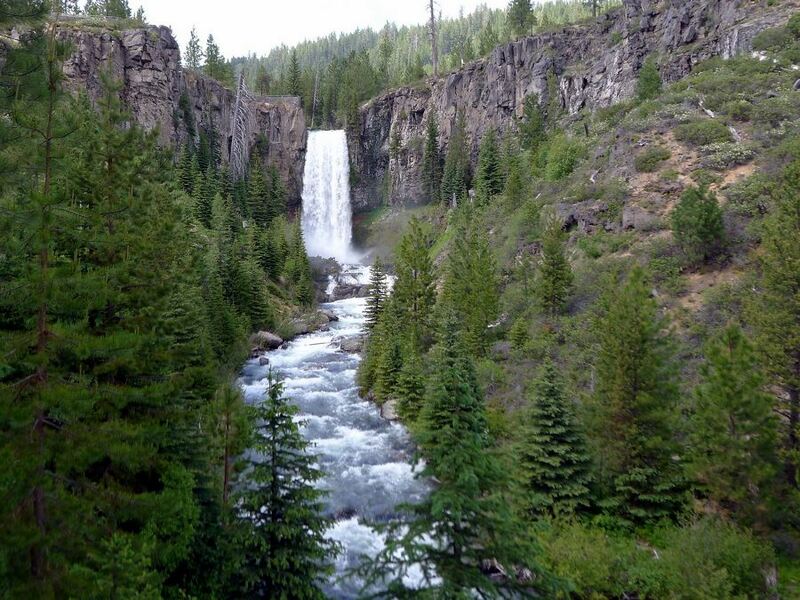 That being said, one of the great things about Bend is all of the exploring you can do within the city limits. And, as befits a hip and happening place, there are lots of options for lodging in good locations. Being so close to the mountains, we always check our camping options first. 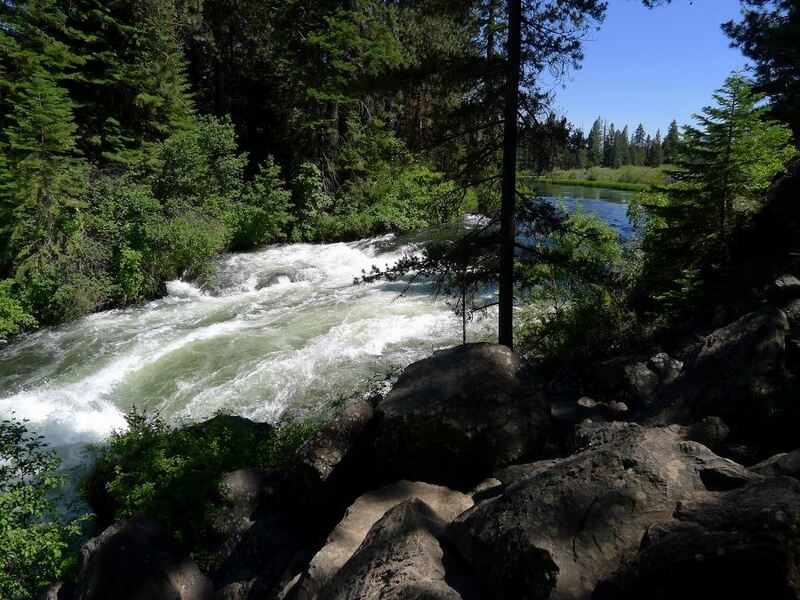 Bend has its own site organizing their campgrounds and sorting which places offers what amenities, so check that out here. The Bunk & Brew Historic Lucas House is a hostel that offers low-cost accommodations, bunkrooms, beers and barbeque, as well as the chance to rub elbows with fellow adventurers. The brick building was built in 1910 and they enjoy catering to adventurous, active people. Or, for a fair price and proximity to the mountains, try Entrada Lodge. The rooms aren’t fancy, but the breakfast is free and some small trails branch out right from the hotel. On the other side of the spectrum in terms of cost and amenities is The Oxford Hotel, which offers boutique accommodations near the center of town. If a bed and breakfast is what you are interested in, the Hillside Inn B&B has both for location and service. The breakfasts are top notch and there is a hot tub on premises, but there are only two suites so book early. For a B&B with more room options and a little lower price try Sunny Acres B&B. They are still close to downtown, but they sit on, as you might guess, a few acres of land. The real bonus is that the breakfasts usually feature homegrown produce and there are outdoor games and a fire pit for guests. As befits a city that has gained a reputation as a mecca for outdoor types, there are lots of microbreweries in Bend that offer everything from a “brew your own” experience (Immersion Brewing – one caveat – you will have to return in about three weeks to bottle your brew) to Bend Brewing, one of the older brew pubs in town, which offers pub fare overlooking the Deschutes River. If you are looking for more of a family restaurant, it is hard to go wrong with the Pine Tavern, which offers traditional fare like steaks and fried chicken. A slightly more adventurous (and expensive) night out is promised at the award winning Five Fusion and Sushi Bar. WHAT ELSE CAN YOU DO BESIDES HIKING? As befits a city built in modern times around outdoor recreation, there are a plethora of options if you want to take a day off hiking. If mountain biking is your thing, there are plenty of trails to the west of the city. Go to Bend Trails to learn more. 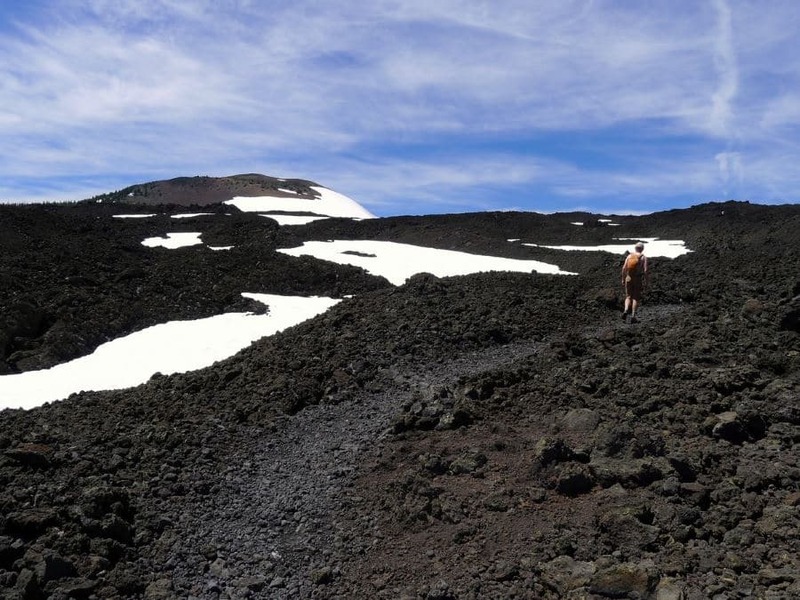 This part of Oregon has a fascinating geologic past (and present). 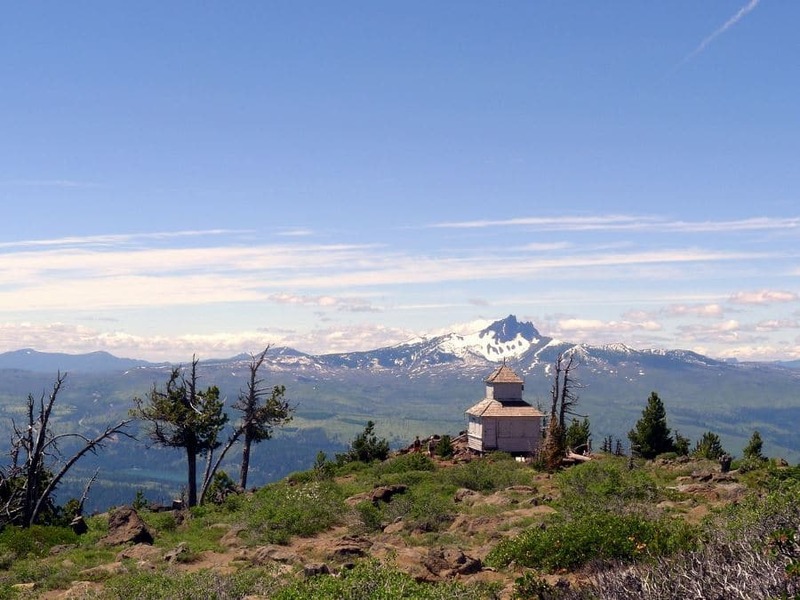 The Newbury National Volcanic Monument, in the Deschutes National Forest is well worth a visit. Bend’s High Desert Museum is a great option, especially for families, if you want to rest your legs. There are also lots of paddling options, from white water rafting to paddle boarding. Other options include just walking around the city. Check out the Bend Park and Recreation Department for a list of trails and parks in the city. As is usually the case, the biggest dangers in Bend are of the avoidable sort. Because much of the area is high desert, nights can be cold even in the summer, and especially in the fall and spring, so make sure you check the weather before heading out for long hikes. Warm daytime temperatures don’t mean you won’t need warm clothes when the sun goes down. As always, check with the locals and park rangers on any trails to make sure you understand the risks before heading out. In so many ways, Bend and the surrounding trails and parks are everything they are cracked up to be. But, they have been thoroughly discovered, which means it is vital that you keep in mind the possibility that there may be plenty of folks competing for that scarce parking spot and on the trail with you, especially if you go in the summer months. So, make reservations well in advance and do your research on which trails are likely to be crowded. And, if possible, you may want to consider timing your visit for the shoulder seasons, particularly fall when there is little chance of trail closures due to snow.